Does your power steering system moan and groan when you are trying to pull into a parking space? 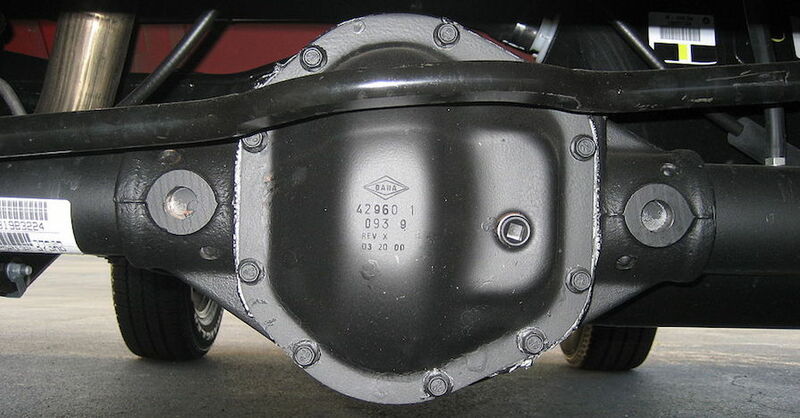 Does your driveway have the tell-tale dark spots of a power steering leak? Or are you just wanting to head off these problems before they take hold in your car? If you answered yes to any of these questions, then you need to keep reading. This is the power steering pump. There are many like it, but this one is mine. Take care of it, and it will serve you well. Just about every modern vehicle on the road has power steering. This is not just a “creature comfort”, power assisted steering is a safety and drivability function of your vehicle. Without it, the steering effort becomes much more difficult, to the point that it is almost impossible to steer the vehicle without out. The reason for this is that the system is designed for power assist, it is heavy without it. A vehicle without power assist has different ratios inside the steering box or rack and pinion to compensate. Here is the power steering gearbox. This is an older vehicle, most modern vehicles have rack and pinions. The function is the same. Maintaining the function of your power steering system is critical for daily use. 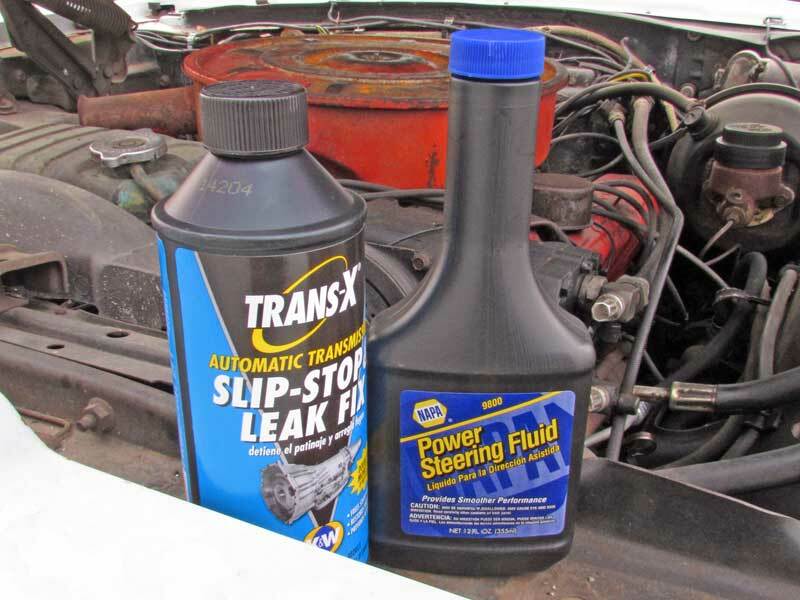 Over time, contaminants and wear will reduce the efficiency of your power steering pump. Eventually, this will cause lower internal hydraulic pressure and leaks. Symptoms of these issues include harder steering, pump groan, and in really bad cases, a steering wheel that turns itself due to a plugged or stuck valve. You can often alleviate these issues with a power steering flush. 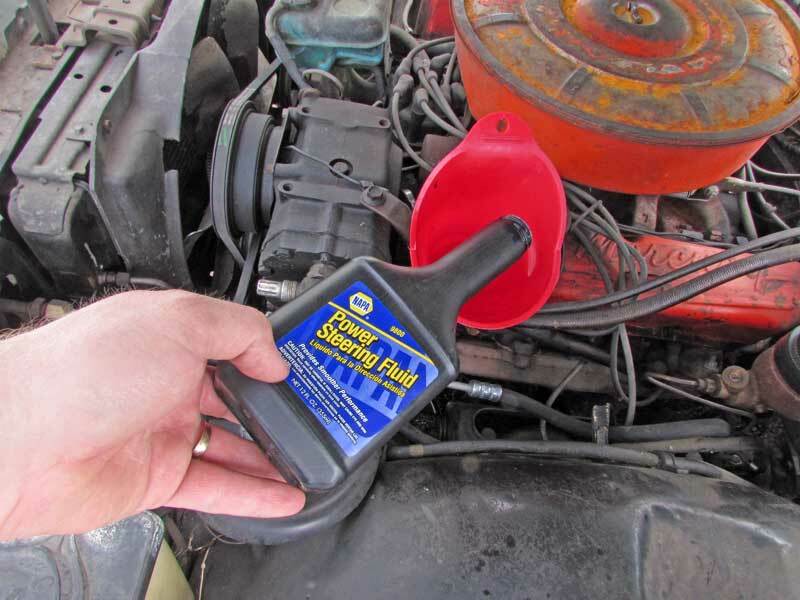 Using some chemicals from Trans-X, your old power steering pump can be refreshed. 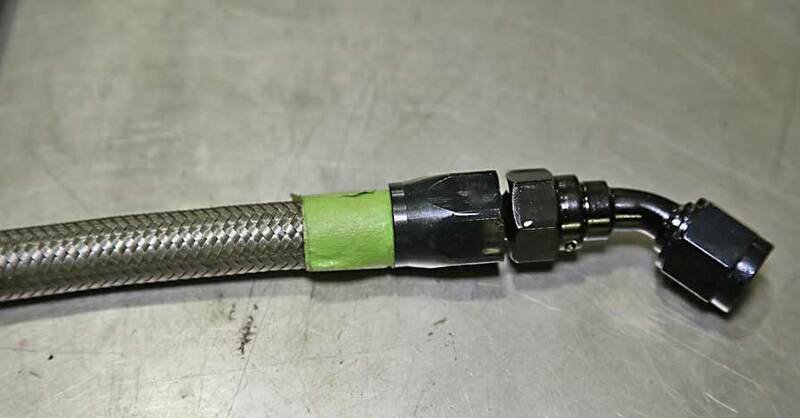 This particular product is called Slip-Stop, and is designed for transmissions. Because the power steering pump is hydraulic in nature, this will work for it as well. 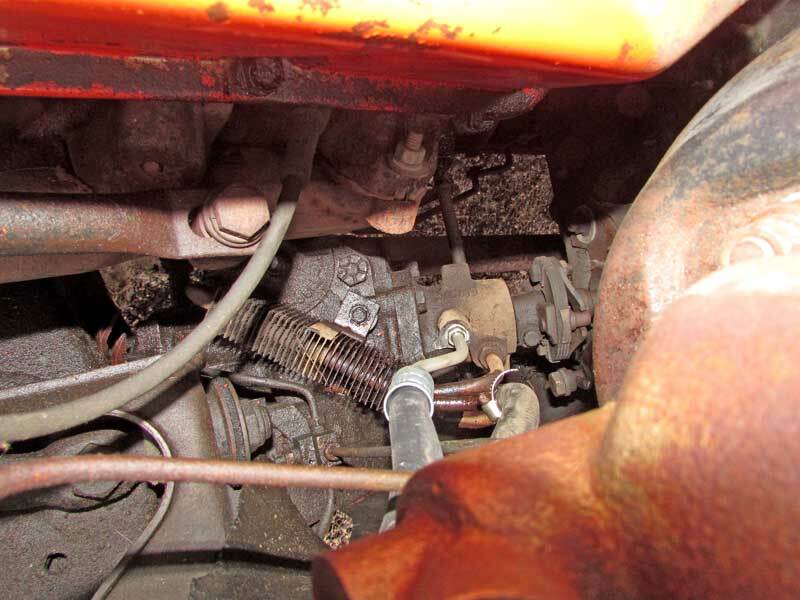 Slip-Stop will freshen up the seals and bearings inside the pump and steering valve, while removing gunk build up. This is a flush treatment, so there will be a mess. 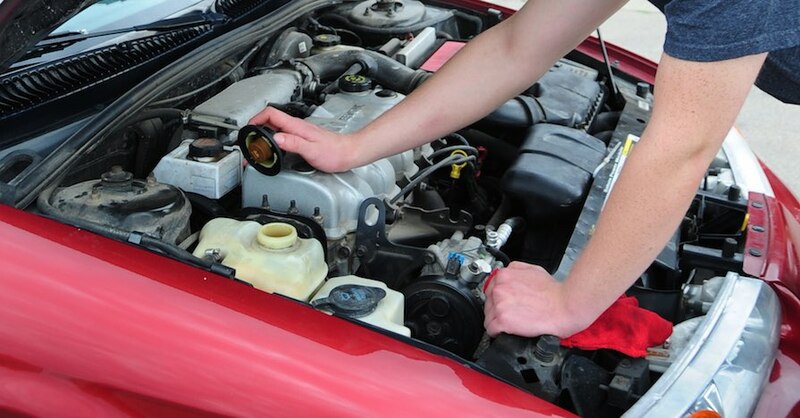 It is a good idee to flush out the power steering pump and gearbox every couple of years to clear out contaminants. 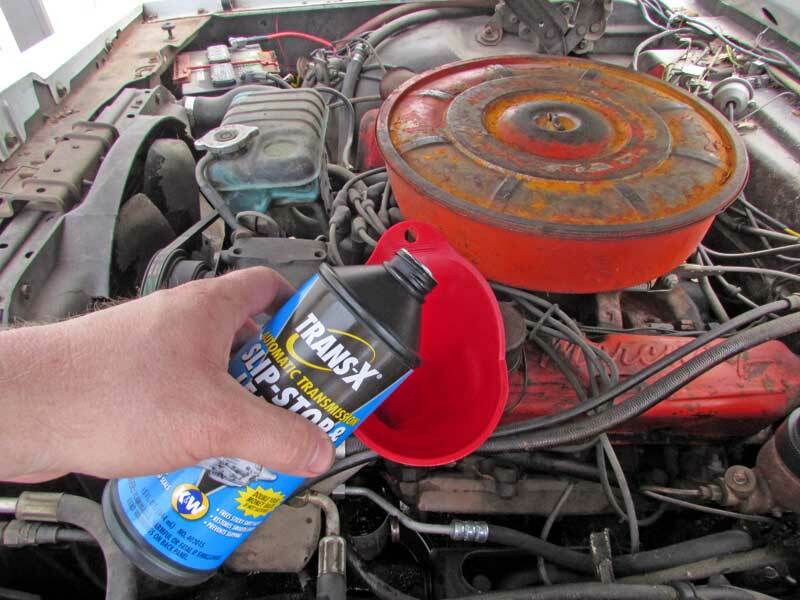 With the engine running, remove the cap from the power steering reservoir and pour in about half of the bottle of Slip-Stop. Replace the cap. Pour about half the bottle into the reservoir, replace the cap and then drive the vehicle for about 15 minutes to get the flush working. Get into the driver’s seat and turn the wheel to the full turn lock side to side about 10 times. While you are doing this, rev the engine slowly from idle to about 2500 rpm several times. This helps get the fluid moving. Now drive the vehicle for 10-15 minutes and return to your work area and shut off the engine. Let the engine cool. 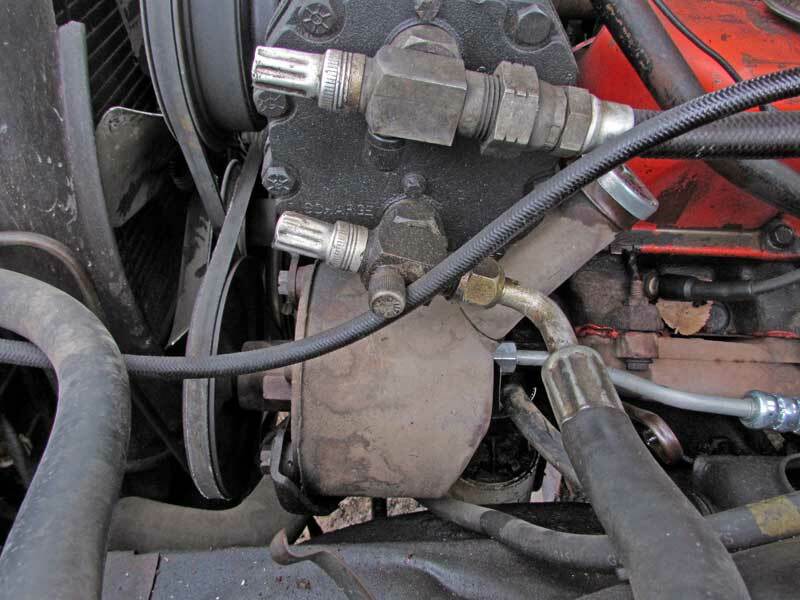 Once the engine is cool, remove the return hose from the reservoir and drain all of the fluid into a drain pan. Turn the steering wheel 10 times lock to lock to help purge the fluid from the steering box. 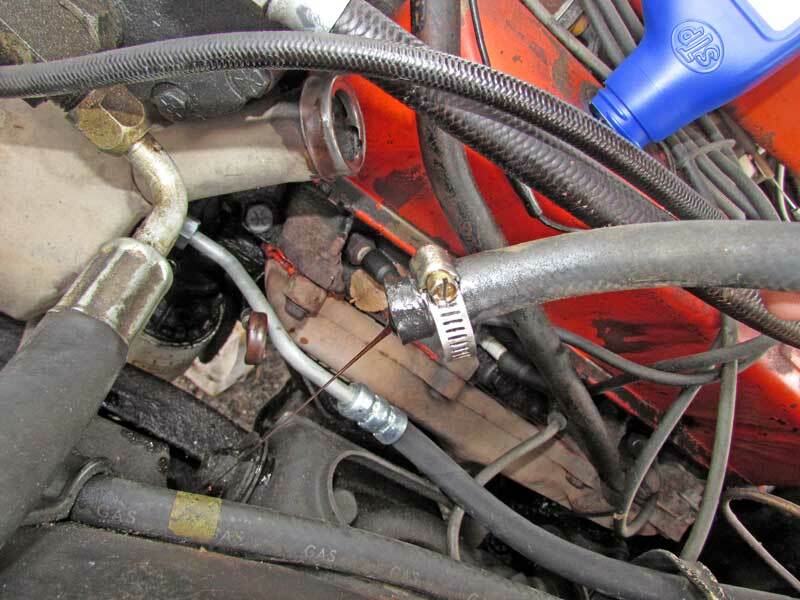 Once the fluid has stopped draining, reinstall the hose. 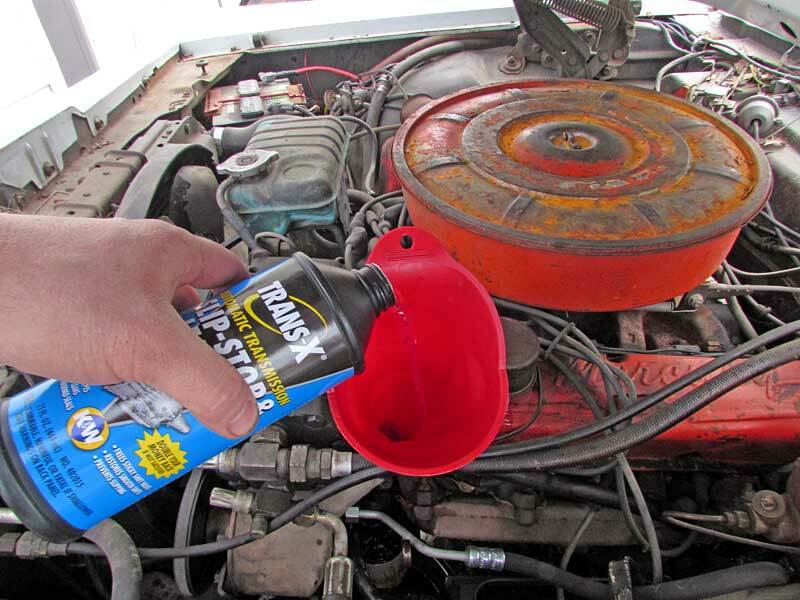 With a drain pan in place under the engine, remove the return line off the pump, and drain all the fluid. Turn the steering wheel lock to lock about 10 times to purge any remaining fluid out of the gearbox. 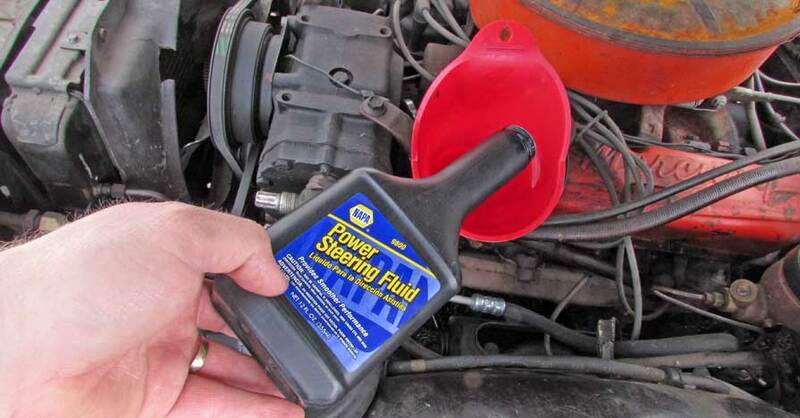 Pour the remaining Slip-Stop into the reservoir and top off with NAPA Power Steering Fluid. With the engine off, turn the wheel lock to lock 10-15 times to purge any air from the steering box. Pour the remaining slip stop into the reservoir, and then turn the steering wheel lock to lock 10-15 times to purge any air in the system. Start the engine. The reservoir will be low on fluid at this point, so top it off with more NAPA Power Steering Fluid. Fire up the engine and top off the pump reservoir with NAPA power steering fluid and go for a spin. You will want to check the fluid level after 20-30 miles as air pockets may dislodge, lowering the actual fluid level in the reservoir. Now your power steering system should be clean and ready for daily use. 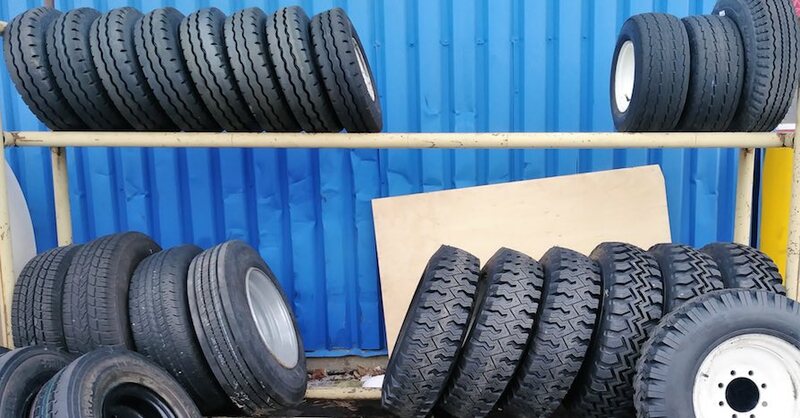 Over time, the Slip-Stop will continue to remove sludge build-up from your system. After 6 months, do another power steering flush to finish the job. Check out all the chemical & lubricant products available on NAPA Online or trust one of our 17,000 NAPA AutoCare locations for routine maintenance and repairs. For more information on how to do a power steering flush, chat with a knowledgeable expert at your local NAPA AUTO PARTS store.